WIN #55: Traditional Wooden Rocking Horse from Hibba! 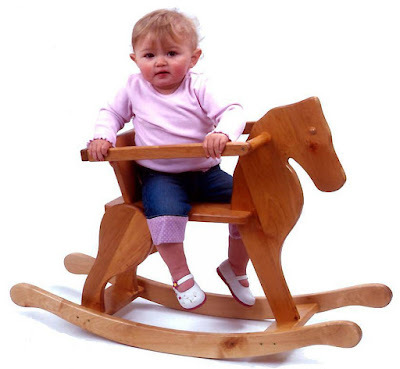 Win a Traditional Wooden Rocking Horse from Hibba Toys worth £120! Hibba Toys is an established family owned company based in Leeds, West Yorkshire. They specialise in offering unique, high quality distinctive gifts and toy boxes for children. Many of their wooden toys and gifts make ideal new baby gifts and Christening gifts. Hibba Toys are delighted and proud to have their flagship product, the Hibba Classic Pine Traditional Toy Box, in the Royal Household. 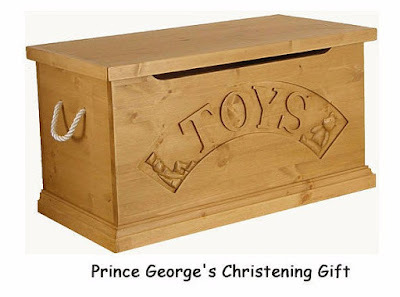 The hand carved wooden toy box was purchased by the Prime Minister's Cabinet Office and given to Prince George as a Christening gift fro all members of the cabinet, a perfect Royal heirloom to be treasured for generations. Hibba Toys have very kindly put aside a traditional wooden rocking horse for one lucky reader or visitor of Unique Young Mum. Suitable for 12 months plus, this rocking horse will bring a smile to any toddlers face and be the showpiece in any home. Crafted by Hibba Toy's master craftsman, this unique deigned wooden rocking horse has been finished to an exceedingly high specification. The wood used is birch and is from sustainable resources. With smaller children you can put them on the seat and then swivel the wooden frame over them to prevent them from falling out, but when they get bigger you can swivel the frame over their head and they can use it as stirrups! Hibba Toys are confident that this horse will be a lifetime product, and a family heirloom for years to come! Please note: You must at least follow or like Unique Young Mum and Hibba Toys on at least one social media platform! To find out more about Hibba Toys, and to view their full range of products, check out the official website here.